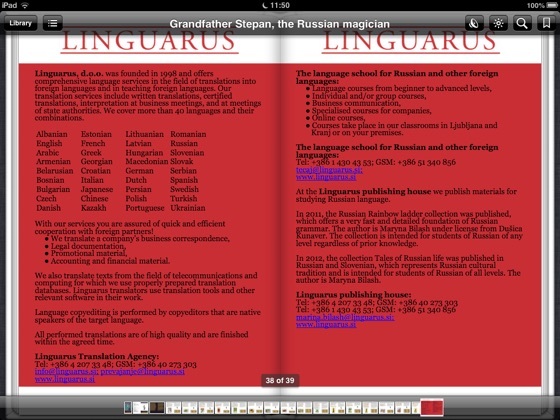 Russian and English. 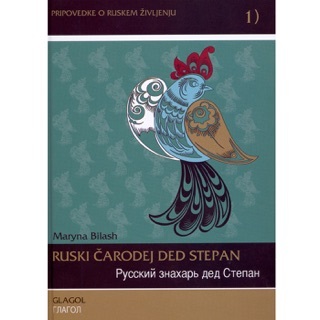 While reading, you can compare the life of Russians with the life of your own nation, and thus make the first steps on the path of mutual understanding and intercultural dialogue. 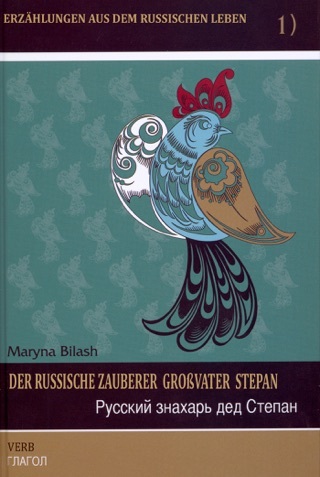 In the first book of the collection Tales from Russian life, the focus is on the verbs. They are specifically written out in the book and translated into English. 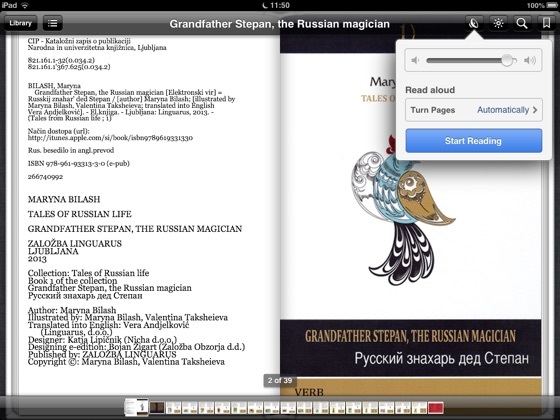 A native speaker of Russian reads the text, the Russian part of the book is linked to the sound track. 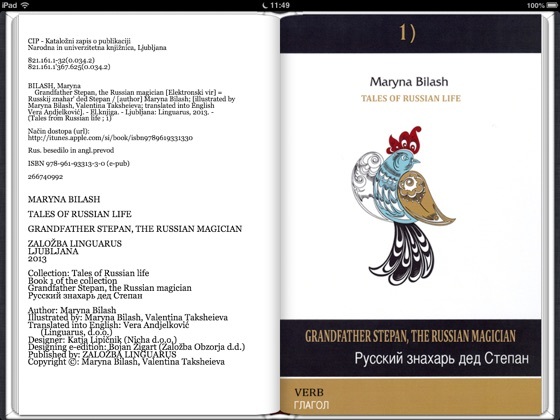 That kind of book can be read in Russian, you can listen to it or both, while practicing the proper pronunciation of Russian words. 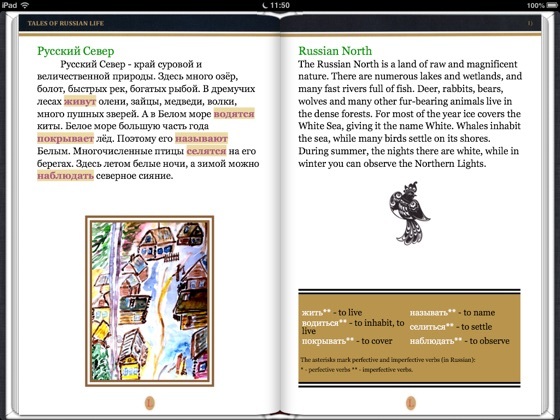 To facilitate the understanding of the content you can also use the English translation.